At the Fifth Avenue entrance to Central Park’s Conservatory Gardens near the top of Central Park, is a magnificent gate. 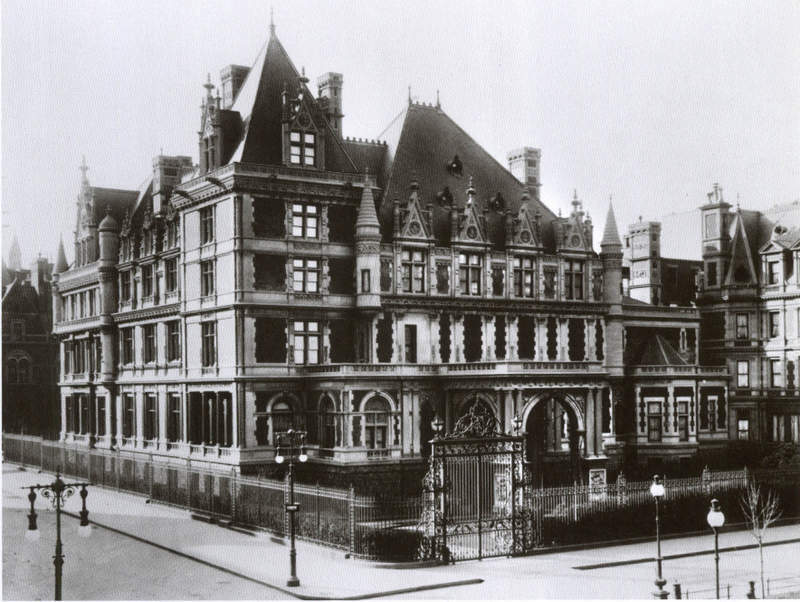 The wrought iron gate was not built for the gardens but was a gift of Gertrude Vanderbilt Whitney to New York City and originally stood in front of Cornelius Vanderbilt II’s mansion at Fifth Avenue and 58th Street–where Bergdorf-Goodman is today. Designed by the great architect George B. Post, of New York Stock Exchange fame, along with Richard Morris Hunt, the house first opened in 1883. The gate, designed by Post and produced in Paris in 1894, is a spectacular way to enter the center Italian Garden of the Conservatory Gardens. See the gate on the Secret Places of Central Park walking tour.